When it comes to holidays, my perception of a holiday has changed rather a lot since we had children. Those long lazy days by the pool, where I could read a book and relax, are long gone! The hotels that I would have dreamed of before, just aren't practical when you have two kids, and you want to actually enjoy your holiday. 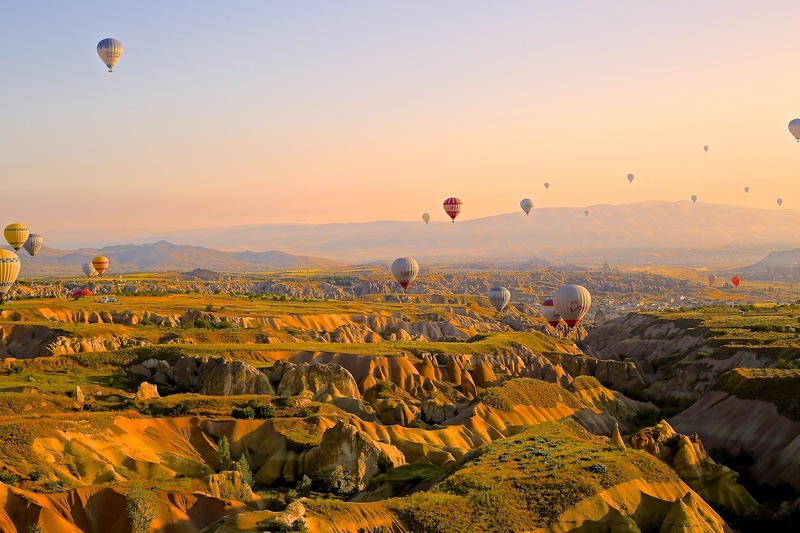 Even the locations of my dream holidays have shifted, to take into account the weather being just too hot or too cold to enjoy it with little ones in tow. As we are returning to the UK, we'll need to start searching around for some sunshine, and so I've been on the hunt for family holidays that we can all enjoy. I went to Centerparcs quite a few times as a child, and I absolutely LOVED it. I'm having a bit of a hard time convincing Gary that we should go here though, as he's worried it's like Butlins. Although I think the new Treehouse and Exclusive accommodation might convince him, the idea of sitting in the hot tub while the kids are in bed with a bottle of wine might just swing it. I love the way that it has been completely set up for children, even for the really young ones. 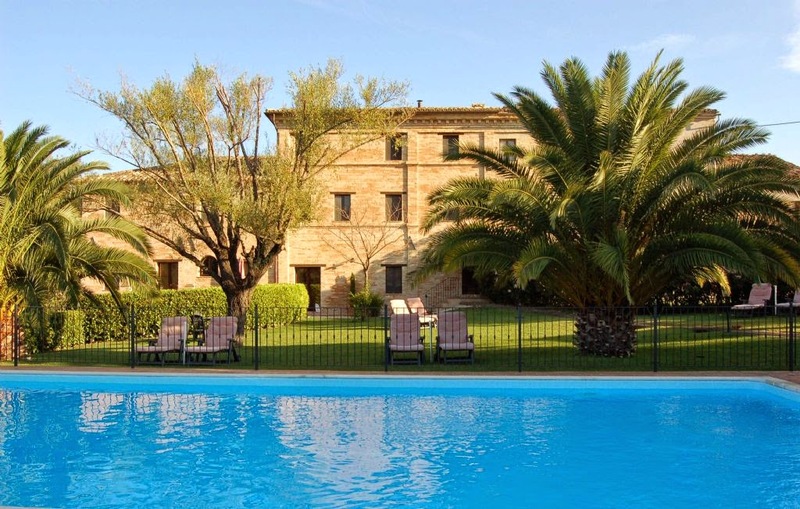 There are structured activities especially for them, not to mention the swimming pool. 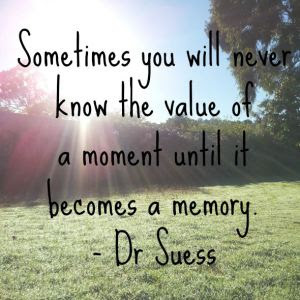 Knowing that we can keep our young children entertained is a great relief. One of the things we found on recent holidays was that just sitting by the pool isn't enough for our two. They quickly get bored of the pool and want to go off and do something else. Mister L would be able to go and take part in some messy play, while Miss S was off at her Pirate Adventure or at the Chocolate Factory. We could all have a dip in the pool before wandering back to our own little home at night, where Gary and I could get some much needed time to ourselves. There are plenty of outdoor sporty activities to keep Gary busy, and theres even a spa for me. So it looks like a winner all round! 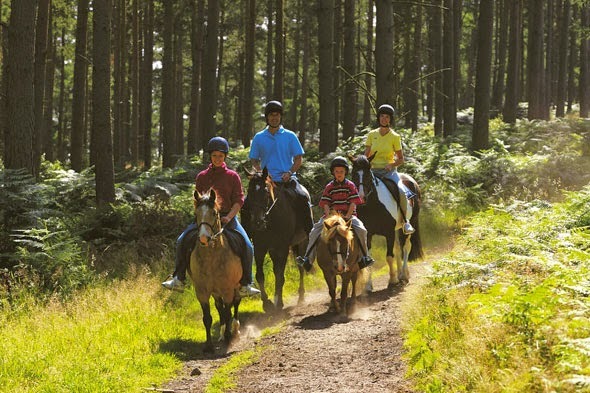 Centerparcs has five UK locations, and I'm also really excited by the idea of travelling to one of the European Centerparcs too! 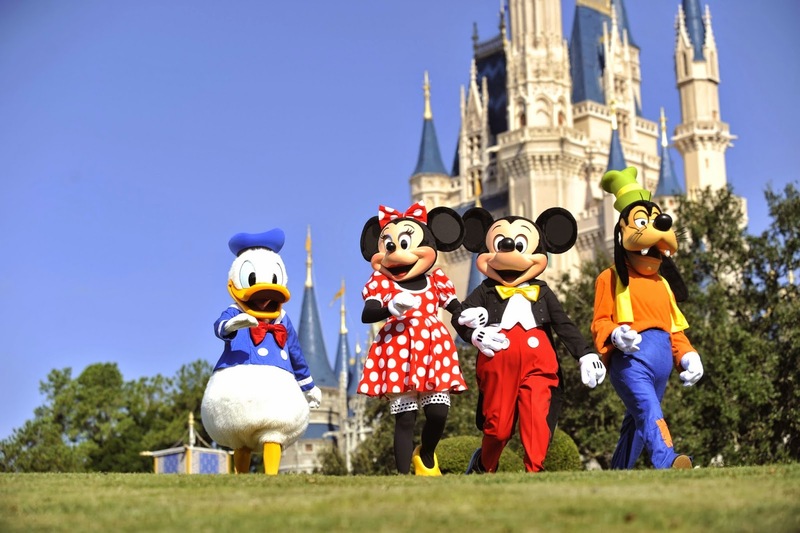 There is no way I could even consider writing about dream family holidays without including Disney World. Even though Miss S is not yet three years old, and Mr L has only just turned one, I'm already sneaking peeks at the enormous amount of information out there about planning your trip to Disney. While I think we'll wait until Mr L is at least two, to make the most of actually going, I'm so excited when I think of their little faces! There's so much to do at Disney, but we're going to have to try to plan some downtime to make sure we all don't end up tired and burnt out by trying to drag us all around the parks and see everything. I'm really excited about going to see Harry Potter World as well, although the kids will probably have no idea about Harry Potter when we first take them, I'm sure that the magic of Hogwarts will still keep them occupied. Italy has been calling my name ever since my mum got married in Sorrento. I spend rather too much time day dreaming about wandering the streets and tucking into a beautiful bowl of fresh pasta. The Italy I remember wouldn't have been very child friendly, as it involved lots of time by the sea and with lots of good food and wine. 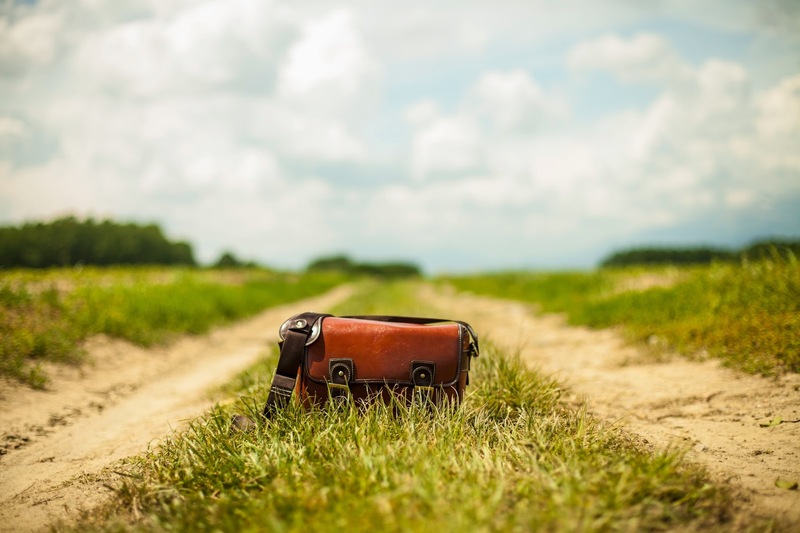 However, there seem to be an amazing amount of British families who have packed their bags for Italy, and have set up farmhouses that cater for young families. So it looks like we really might be able to have our cake and eat it. Time by the pool, check. Play areas to occupy the kids, check. Two bedrooms to ensure a good nights sleep all round, check. Baby supplies, to save on the luggage allowance, check. Private patio area for evening relaxation, check. Nearby restaurants for that bowl of pasta, check. Where are your dream family holidays? 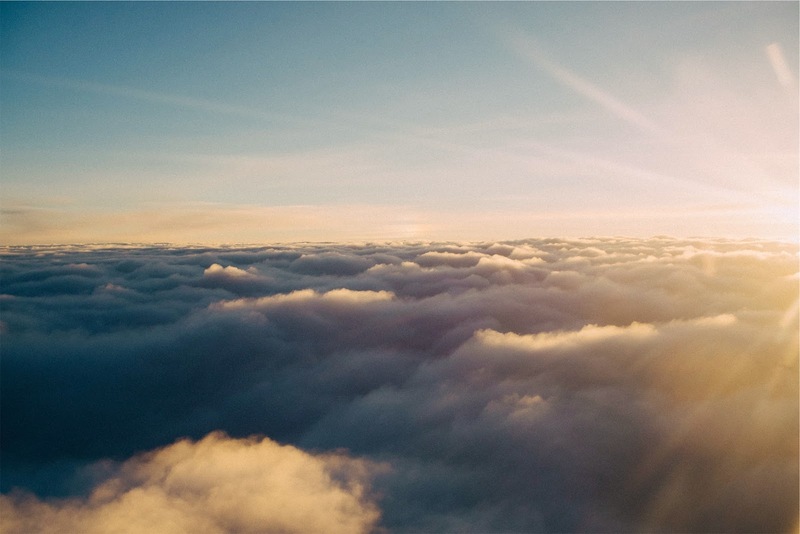 I'm always looking for more inspiration and to add to our ever growing list! as busy, but with less help, I've started meal planning for our family in advance. 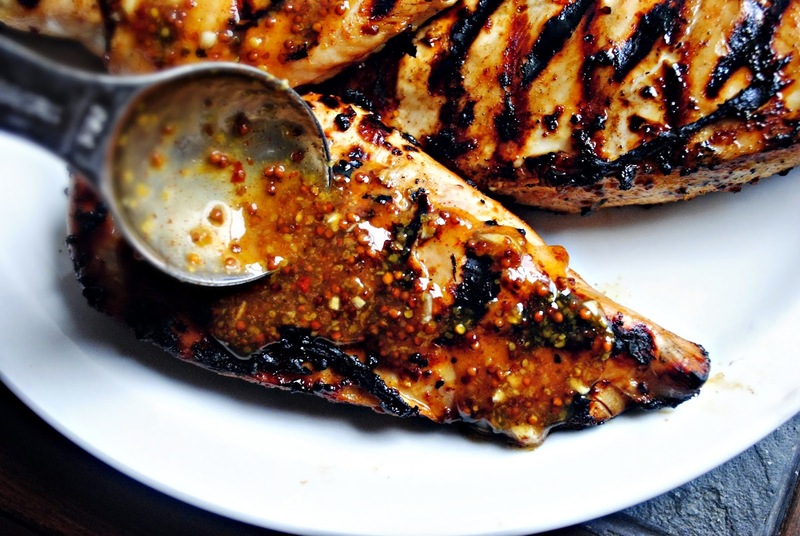 So I've been looking for great marinades for chicken or fish, for a simple and healthy, yet tasty dinner. This one was the first one I actually tried, and I loved it so much it's definitely staying on our favourites list! It's from Simply Scratch and it's such an easy recipe to throw together. I actually place the chicken in the marinade, and then into the freezer to eat at a later date. The extra time to marinade as the chicken thaws results in tender chicken that has the flavour of the marinade running all the way through it. Don't worry about the spices you are putting in there, it doesn't make the chicken spicy at all, both my toddlers happily ate it (until Miss S realised it was chicken and then refused to eat another bite). One of the questions I am always asked about essential oils is "are there any that can help with weight loss or sugar cravings". It seems to be something that troubles a lot of people. With sugar filled food available at every possible turn, and often cheaper and convenient that a healthy alternative, it becomes so easy to become addicted. And with addiction comes the inevitable weight gain. I'm the absolute worst at controlling my eating habits. Even though I have cut out fried food and most takeaways, the additions to my core diet are the ones that cause me to gain weight. The sugar addiction is difficult to shake, no matter how hard I try, and I can easily eat an entire packet of biscuits in one sitting without too much trouble. I also find that being in stressful situations, or that time of the month, cause me to reach for the chocolate without any restraint. 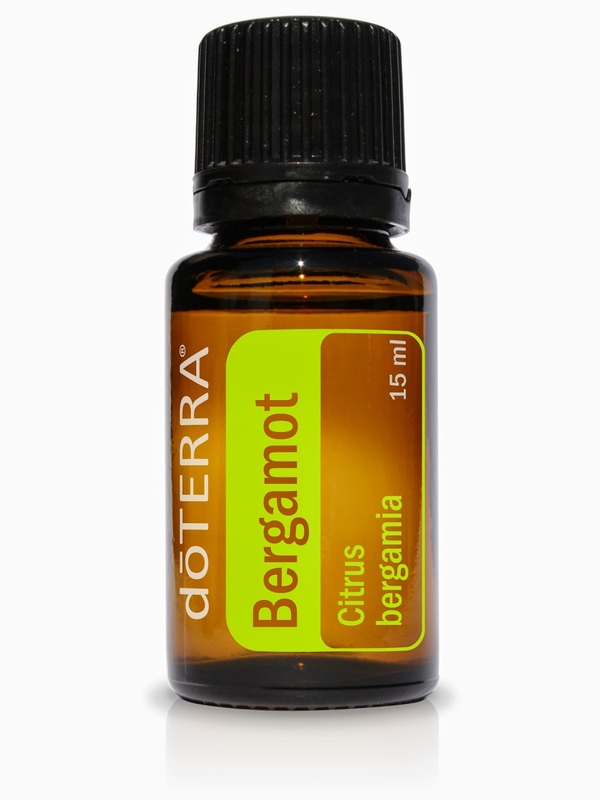 Bergamot is one of the citrus oils and it's a fabulous essential oil for reducing those sugar cravings. You can add it to your normal tea, and get instant Earl Grey. Bergamot is also a great essential oil as it is able to be both uplifting and calming, making it ideal to deal with anxious and sad feelings. Bergamot would be a great oil to have around if you begin to eat more when you are stressed. 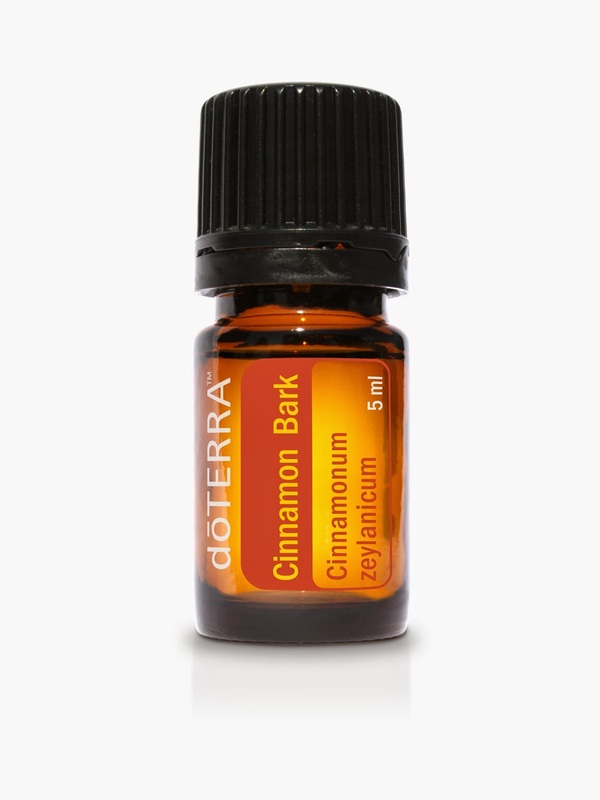 If you eat because of blood sugars that rise and fall rapidly, or if you need digestive support, then Cinnamon Bark is the essential oil for you. Cinnamon Bark was shown in studies to lower the fasting glucose level of patients with type 2 diabetes (source) and so it's a great essential oil to help your body to stabilise and regulate blood sugar. Cinnamon Bark is a hot oil, so it must be diluted before it is applied to the skin. I personally find Cinnamon Bark to be too hot an oil for me to take internally, so I apply it topically to the bottom of the feet. If the movement and changing hormone levels during your cycle send you straight to the biscuit cupboard, Clary Calm can help. 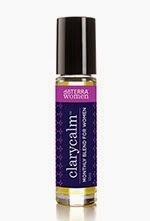 Clary Calm is doTERRA's women's monthly blend and it's made up of essential oils that have been traditionally used to balance hormones and manage symptoms of PMS and the transitional phases of menopause. A topical blend of Clary Sage, Lavender, Bergamot, Roman Chamomile, Cedarwood, Ylang Ylang, Geranium, Fennel, Carrot Seed, Palmarosa, and Vitex, ClaryCalm provides temporary respite from cramps, nausea, hot flashes, and the emotional swings sometimes associated with regular hormone cycles in women. I use it every day, applied to the ankles (the reflexology points for the reproductive system). I find that when the time of the month rolls around, my usual overwhelming cravings for sugar are much more subdued. Don't get me wrong, I still partake in some inhaling of sugar, but it's nowhere near as bad as it used to be. I can actually say no to an offered biscuit, or stop myself from eating an entire 500ml tub of ice cream. Who knew! Slim and Sassy is doTERRA's metabolic blend. combines powerful essential oils known for their detoxifying qualities to promote weight loss in a natural and healthy way. Slim & Sassy helps manage hunger throughout the day while boosting metabolism and promoting a positive mood. Slim & Sassy contains Grapefruit and Lemon, both of which have a high limonene content to help purify and cleanse the body while Peppermint, Ginger, and Cinnamon provide a stimulating and positive effect on the endocrine system to assist with weight loss. Adding one or two drops of Slim and Sassy to a large glass of water before meals can help your body to control appetite and over eating. It can also be consumed before a workout for a revitalising energy boost. 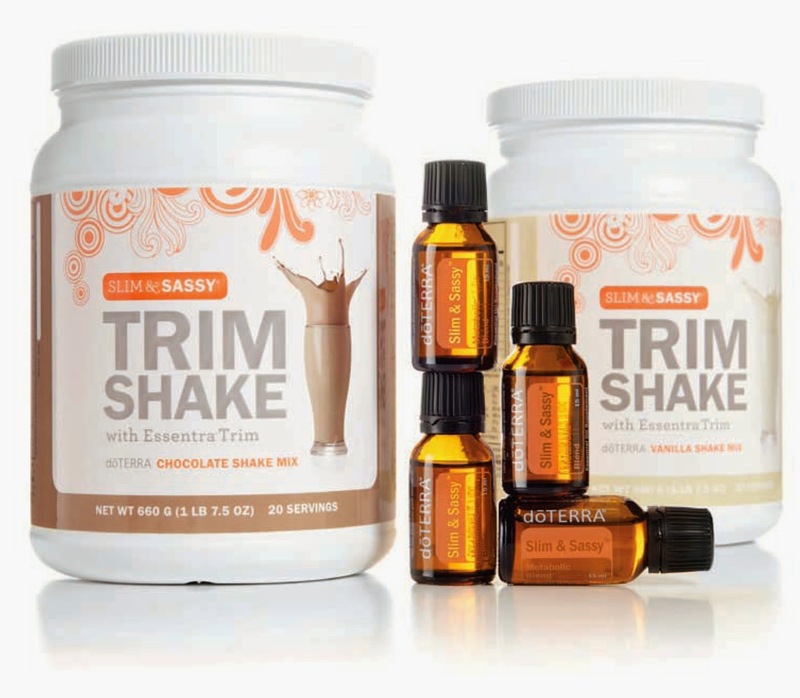 Slim and Sassy also comes in a trim shake formula for those looking for meal replacement shakes, with the benefit of the Slim and Sassy essential oil blend. 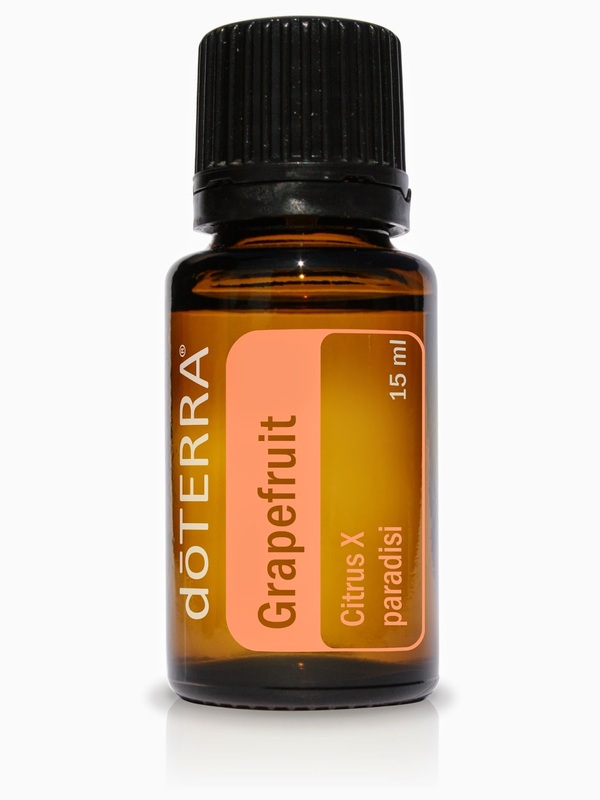 Grapefruit is my personal favourite essential oil to add to water. It gives it a subtle flavour, which makes water so much more drinkable, and it does help to curb my sugar cravings, which are numerous and pretty strong! Grapefruit essential oil is also great at supporting a healthy metabolism and when added to coconut oil and massaged into the skin, it can even help the body's lymphatic system. Grapefruit essential oil is the oil to use if you tend to snack when you are tired, as it helps to reduce mental and physical fatigue. 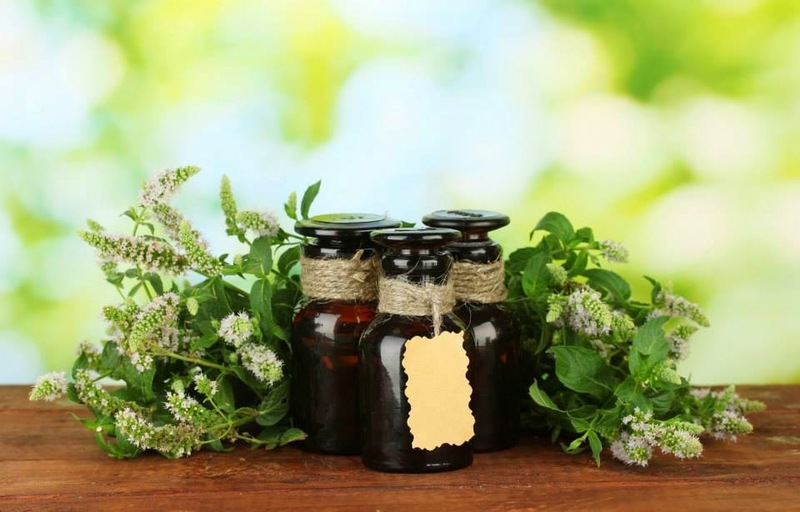 So here are my five favourite essential oils to assist with weight loss. I think I fall into all of these categories at one stage or another! We are looking for posts from all bloggers! Parent bloggers, beauty bloggers, fashion bloggers, vloggers and bloggers. I would love the diversity that it would bring to #wineandboobs. For you vloggers you can link your videos directly from YouTube and I would really love to see you linked up! Watch for new vlogs coming from yours truly in the near future. To link your post click on the inlinkz button below and copy and paste your post when prompted and follow the instructions. If you are not sure how to link up Cuddle fairy has written a guide to linky’s click here to find out how. This week I am encouraging #socialsharing. I would love it if you would share on your favourite social network one post and tag me in it with "I shared on #wineandboobs @moderndadpages" and of course the person you are sharing for. #socialsharing is a great way to support fellow bloggers :) I hope you all love the idea! RIGHT NOW. Whatever you are currently doing, stop it, put it down and go back to bed. Lounge under your covers and snooze and drink wine and eat chocolate. Indulge in your bed, enjoy every minute you can convince yourself to stay between the sheets. Stretch out, use lots of pillows. An afternoon nap at the weekend should be obligatory. Do not even consider surfacing until midday if you do not have to be at work. When you have children, sleep is NEVER the same again. Even if you get a lie in, your body clock will just repeatedly tell you that you get up at 5:30am these days. Yes 5:30AM, it's an actual time, and it's an actual getting up time! Plus if you've given birth, there is no guarantee that your comfiest sleep positions will remain so, and you might spend your valuable lie in trying to get comfortable, and then have to get up because your body thinks 8am is the middle of the day. I'm not joking. 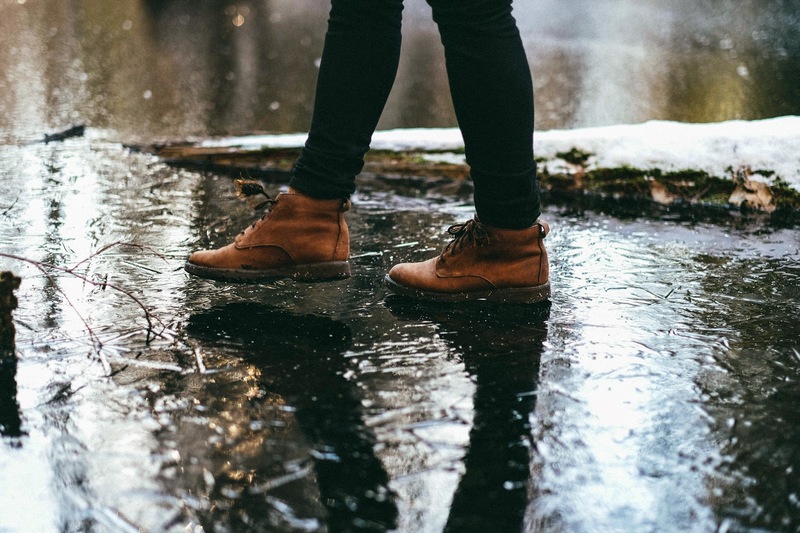 Right about now, you are probably more comfortable about your personal style than you will EVER be again. If you like those jeans, buy them. Those shorts, buy them. That top you think might be a bit low cut, buy it. If you like what you see in the mirror, go to the till and take those babies home with you. Once you become a mum, chances are that you will totally lose a sense of your own personal style. Even if you get back to your pre-pregnancy size (or get in better shape than before! ), your style will suddenly morph into something you don't recognise. Suddenly, things that felt AMAZING before, will just feel odd now, and you won't be able to explain why. You will have no idea what suits you anymore (most of this being in your head) and you won't have any idea what to try on when you get a precious hour to shop. Seriously, sod the mortgage deposit, or the sensible level of savings, go on holiday, ALL THE TIME. Write a list now, of the top ten places you want to go, and visit four of them this year. Machu Picchu is not going to be very exciting if you have to lug a baby and all their crap with you. The Maldives isn't going to be so romantic with a screaming toddler. An African Safari won't be so lovely if you are panicking about lions eating your children. Hell, just going to Spain and sitting by the pool is not going to be relaxing until your children have flown the nest. One of them will always need a nap, get sunburned or try to drown themselves. Go on holiday, make it a priority, you have the rest of your lives to stay home and be skint. Hangovers without children mean lounging about in bed until the middle of the afternoon, eating yummy food and drinking wine for it's "hair of the dog" effects. DO IT! Get a hangover, nurse the hangover and then repeat. There is nothing like a hangover (after one glass of wine) and having to get up at 5:30am and play peekaboo and read The Gruffolo twenty times before the sun rises. You will curse the day someone first crushed a grape. If you manage to brush your teeth, shower, brush your hair, get dressed and put on make up BEFORE 9am, and get to work, this will be easy for you. Great Auntie Jean will love the card, it will mean a lot to her. And it might mean your mum forgives you in the future when you lose the ability to remember any date at all, and forget to send her a birthday card (This will happen, I'm sorry). It is amazing how much space The Gruffolo takes up in your head, alongside the mountain of ironing you never seem to get through. For hours on end. Read a book from start to finish in one sitting. Sit on holiday with your feet in the pool and read the entirety of Harry Potter and the Deathly Hallows. Devour Pride and Prejudice for the 85th time. Read New Moon again, and cry again. This is decadence. The silence, the peace. The ability to concentrate on the words on the page, for hours on end. A book WITHOUT pictures. Go and sit with your other half, your friends, your family, and order whatever you'd like to eat. Then, when it comes, eat it all, by yourself. DO NOT SHARE WITH ANYONE. Do not allow anyone to eat off your fork. Eat every last mouthful by yourself and savour the flavour. Wash it down with wine (see above) and be carried home before going to bed at 5pm on a Saturday because you've had too much of a good time. At work, in the middle of the street, on holiday. Wear that bikini. Whether you are a size 8 or a size 84, you will never be as confident of your body as you are now. It is unmarked by pregnancy and childbirth, whether mental or physical. you don't have to worry about small hands grasping and removing said bikini, quite by accident. Or asking you why your tummy wobbles. Adults have some grasp of not talking about fat in public, embrace that while you can. Toddlers have no ability to censor, so your entire body is a talking point. 9. Watch your favourite films, over and over again. It doesn't matter if you are a secret Twilight fan (I"m a not so secret fan) or you are an Oscar Winning lover. If you like it, watch it. Watch a film that's aimed at adults and revel in the full sentences and complicated plot line. Topsy and Tim just does not compare, trust me. And you'll be too tired to watch an entire film later, I promise you! Sit in a chair and stare at the wall. Think about the most random of things, without interruption. Listen to the silence. It'll be a long time until you hear that again. Do nothing, and enjoy it. You are wasting time, you are making the most of it. Babies and toddlers and (I suspect) children are wonderful and amazing creatures, but they demand a rather large amount of attention, rendering most of the above out of your reach for a significant period of time. You have some time on your hands, use it wisely! Redesigning My Wardrobe: What Needs to be Added? Ok, so, I finally got round to decluttering my wardrobe, and throwing out almost all of the things that just don't fit right or just look ridiculous. You can go back and read my post about decluttering here. So now that I am down to a minimal wardrobe, I want to go back through my wardrobe and work out exactly what needs to be added to it in order to have ten full daytime outfits that I love! I also need to work out what needs to be taken in or repaired, and what I'd ideally like to replace at some point. Having looked back at my "going out" wardrobe, I'm pretty happy with it for now, so I'm not currently looking to add to it. While there are a couple of dresses that I no longer feel look amazing on me (the red one for starters) I'm going to focus on my day to day wardrobe rather than adding to a collection that I already wear less and less. In an ideal world I would remove the red dress and possibly the yellow dress and replace them with different ones. I love the white dress with the purple flowers at the moment because of the structured top and the flare to the skirt, so I'd be looking for something along those lines to replace them. I also need to have the flapper dress on the bottom left taken in, as it's rather too big now from when I first bought it. Here is my completed "going out" wardrobe. I thankfully still have nine pairs of trousers, jeans and shorts to keep in my wardrobe for now. Otherwise I'd be seriously struggling for clothes to wear. Not that this is anywhere near perfect, and there are a lot of changes I'd like to make over the coming months to create a wardrobe where I love everything, and everything I have is practical for where I'm living and what I'm doing. I'm going to work through each set of clothes individually and talk about them, why I'm keeping them and what I'd like to change. Both the pale yellow jeans and the pale blue jeans are eventually going to be moved into my summer holiday wardrobe. They aren't really practical for living in England, or for romping about with two toddlers. They are going to get filthy and ruined pretty quickly. The dusky blue pair in the middle are pretty new and I love them. Although, having taken photographs of them, I'm not as big a fan of the skinny jean look as I used to be. Whilst I love the trousers themselves, and won't be swapping them out, I will bear that in mind when I go shopping in future and look for straight leg or bootcut designs instead. I carry all my weight in my hips, and any piece of cake takes up residence there. So I need to balance that out a little bit with what I wear (and stop eating so much cake/do more exercise to tone those areas up). I know a lot of people love wearing shorts year round, but I'm not really one of them. However, shorts with tights, I really like. I didn't have any tights when I took these photographs, so it's hard to say how much I will love these once I get them on with tights. I have a feeling that the navy blue polka dot shorts in the middle will be a long term keeper, and I'll wear them to death with navy blue tights, but time will tell. In general I'm looking to add more trousers or jeans to my wardrobe and move at least one, if not two, pairs of shorts to my summer holiday wardrobe. Again I'll be looking for straight leg or boot cut trousers/jeans to balance out my hips. The lighter grey jeans on the left are now rather too big for me. But I love them. I like the fact that they are straight leg rather than skinny, and feel they balance out my hips well. I think I'm going to have them taken in and see how they look then, before making a decision on whether to look to replace them with different jeans. The blue jeans in the middle are new, and I love them! They are from Massimo Dutti and are so soft and comfortable. They also don't sag after you've been wearing them five minutes, and keep their shape all day. They are skinny jeans, but I still think they balance my hips better than other trousers I have. They are a keeper, and I'll be looking for more Massimo Dutti jeans to add to my collection. The dark grey jeans on the right are from Zara. They are soft and comfortable, but they do sag after about an hour wearing them, and then they look a little too big. They are also skinny jeans and don't balance me out that well. I'll be looking to replace those eventually, but they fit and I'm happy wearing them for now. Ones that look great in photographs, I'm going to have to be part of the selfie brigade! This is the most scant part of my wardrobe, and needs addressing first. I bought a lot of tops online, anticipating sizes and fit and getting it pretty wrong. I need to make sure that when I shop, I take time to go and try clothes on, rather than ordering online. The cream top on the left will need to be replaced at some point. It creases so easily, and is also rather too big now. I would have it taken in, if it wasn't so easily creased, but it is, and so I think it'll have to be replaced eventually. I love the other two tops, although I think they might each need to be shortened slightly. They are a little too long and so crumple around the top of my jeans (although I might need better fitting jeans too!). Have the other two tops shortened slightly to make then sit better against my jeans. That fit properly, trying on is essential. I think I'm going to need to add more cardigans to this mix. The two jumpers I have are lovely, but I can't wear anything underneath them, and I really do like to layer my clothes as I tend to get hot and cold very easily, so I'm constantly removing and reapplying layers! Realistically I think the red cardigan isn't going to last too much longer, it was worn to death while I was pregnant. So it'll need replacing at some point. I think I'd like to add in a mix of cardigans and blazers for a bit more of a formal look, while keeping to my layers! I haven't even bothered photographing my shoes, because they are pretty dire! I have one pair of black knee high boots, which are now far too big in the calf and will need replacing pretty quickly. I also have one black pair of ballet flats, which I bought in the middle of a shift in the pub about a decade ago, when my flat shoes fell apart during the shift. They are pretty simple, but don't really match the rest of my wardrobe. So shoes are pretty high on my list, given I'll obviously need to wear them every day in the uk. Right, wardrobe analysis complete. Now it's onto my favourite bit, planning the shopping! When I first actually began to take care of my health and start to see that a decent diet and regular exercise was important, not only for a slimmer waist, but for my overall health and wellbeing, I learnt so much. But the more I learnt, the more I began to be frustrated with myself for not being able to stick to the healthy diet, or for flopping on the sofa at the end of the day instead of heading out to my scheduled Circuit Factory class. When I had a bad week, and the pounds crept back on (or bad month, as it often turned out), I got really mad with myself and was really fed up that I kept "falling off the wagon". The problem with that kind of frustration and anger, is that it doesn't really give you a positive environment, which is the only type of environment where change is actually possible. It turned into a bit of a cycle. I'd get mad at myself for not being perfect, and then I'd be upset, and then I'd turn to chocolate for comfort. I began to realise that there are certain things I needed to learn about myself, and be honest about my limitations and my abilities. I also needed to be honest about what my body needed. First of all, I'm really affected by my hormones. I don't know whether it's because I have a thyroid problem (and therefore a hormone imbalance to start with), or whether it's just because I'm female, or just because I'm weak. But when the hormones are in flux then my cravings for sugar go through the roof. I can eat all the fruit in the world but I still have a taste in my mouth and in my head that won't go away. It's proving almost impossible for me to completely stay away from the chocolate and stick to a completely clean diet. So I've accepted it. Rather than concentrate on eating no chocolate at all, I concentrate on reducing the amount of chocolate or cake or ice cream I eat during those times. This has been far more successful. I used to literally eat a 500ml tub of ice cream when my period arrived, and now I am slowly tapering it down to a few squares of dark chocolate. So not only am I eating less calories in general, but I'm also eating food that has less sugar in it, and dairy, which I find difficult to digest. So even though it's frustrating to have to give in to my cravings, I'm really proud of the fact that I can reduce the amount of rubbish I'm eating, even during certain times of the month. I have also learned to look at my month as a whole and see where the problem points are. When we have guests out with us in Dubai, my diet pretty much goes out of the window. We go out to eat, we stay up too late and we drink too much. So when our last lot of guests were with us, I made sure I had schedule in time for the Circuit Factory, and I worked hard to stick to a clean diet for as much of it as I could. I'm rubbish at going out to eat and not just eating what I want, but I made a big effort not to order dessert, and managed it. As we are moving back to the UK, this will become less of a problem. People aren't going to come and stay with us for a week, they will probably pop down for weekends. I can keep my diet clean during the week and plan my cheat meals for the weekends, when we are likely to have visitors. When I look back at my diet, I realise that my eating habits have improved so much. I no longer eat sugar filled cereal for breakfast (or chocolate croissants), I eat omelette and sweet potato. This fills me up and allows me to get through the day without being starving at 8am. My snacks are pretty much set, fruit and cashew nuts. My food is grilled and not fried, I don't usually eat chips, and I weigh out my carbs to make sure I'm not over eating. In short, other than the alcohol and the sweet treats, my food is pretty clean. That's a massive achievement, I used to think nothing of eating takeaway every week (or twice a week) and popping through the drive through at McDonalds. So while I'm not looking like a supermodel, or in size 8 jeans (UK size), I'm making huge progress. I've been struggling with my consistency in my Circuit Factory sessions. Some days I go, and while the session is really tough, my body feels strong, and like it can cope with a full workout. Then sometimes I go and I end up un a crumpled heap on the floor before the warm up has finished. I get dizzy and all my muscles feel weak and I just cannot continue. I've left a fair few sessions within the first twenty minutes because I couldn't see straight. Morning sessions don't work for me. I have no idea why, but I suspect that I don't have enough food in me to get me through the session. Whereas in the evening, I've eaten enough over the day to fuel my body. I've also had all my thyroid medication by then, so maybe that's a factor. Sleep deprivation is something I need to be aware of. If I haven't slept, I can't do a session. Full stop. I'd love to be one of these people who can just push through it, but I can't. Not unless I want to do the circuit with the room spinning around me. I cannot do a class on a hangover. It just doesn't work. Unfortunately a hangover doesn't require much drinking on my part, so I need to allocate my sessions around my planned glass or two of wine! Taking the time to look back at my sessions and really work out what works for me means I can maximise the sessions that I am able to do. I also need to remember that I am so much fitter now than I have ever been in my life, and while I'd like a slightly smaller pair of thighs, or a slightly flatter tummy, I have to accept that change does take time. I want to be able to live my life, as well as make progress at the same time. Making allowances for the areas that I struggle to control, while working on the areas that come easier to me, has mean't that I feel like I'm moving forward without chastising myself.